If you’ve been thinking about entering the Alpine Challenge in the Victorian Alps, then think no more, because this could be your golden ticket into the race. We have one free entry to give away to a lucky reader, but not only that, we’ve also secured a further 10% off the entry price for the first 20 entrants into the competition. The 8th Alpine Challenge Ultra Marathon, incorporating the 100 mile (160km), the 100km individual and team Alpine Challenge and the 60km Alpine Experience is set to be run over 29 November – 01 December 2014 in the Alpine National Park. 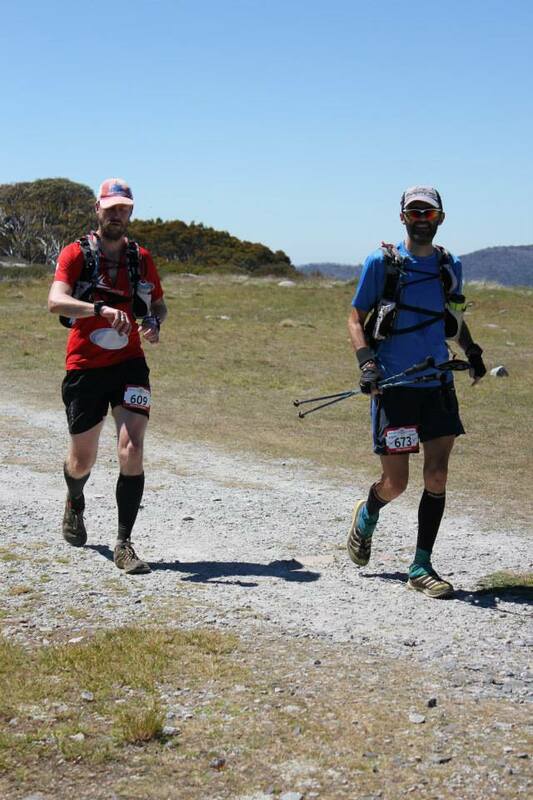 With over 7,000 metres of climb and 7,000 metres of descent, this event is the classic 100 mile mountain trail run in Australia; testing runners to the limit, it also offers one of the countries most scenic and challenging 100km runs covering over 4,000m of ascent and descent in 36 hours. New for 2014 is the introduction of the 60km “through” run which is offered in addition to the 60km 2 day stage run. Due to demand this new event has been created to enable those seeking to gain more experience in the Alps the opportunity to sample the magic of the area and complete a through run of 60km in the shortest possible time. Set in the spectacular Alpine National Park of north-eastern Victoria the event takes in some of the best, hardest and most exposed high country in Australia including Mt Feathertop, Mt Hotham, The Fainters, Spione Kopje, Mt Nelse and Victoria’s highest mountain, Mt Bogong. Gill Fowler will be at the Alpine Challenge again this year. 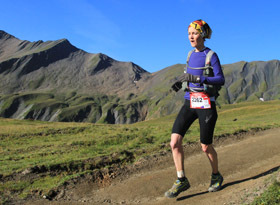 As one of Australia’s leading 100mile runners, she finished 6th at UTMB last year. The 100 mile course is arduous with six major climbs that take a cumulative toll. The event takes place in an exposed Alpine environment that participants continue to underestimate, to their peril, as demonstrated by the high DNF rate and rescues by ASAR. It is subject to sudden and severe changes in weather; hot sunny days as well as rain, fog, high winds, sleet and snow can occur during November. In 2014 the run moves to November in order to take it away from the bushfire season, it will also see a reduction in cut off times, 44 hours for the 100 miles / 36 hours for the 100km and 60km stage race distances and 20 hours for the 60km through run. If you’re looking for something different, if you want a fantastic run or tough walking against the clock, great scenery, unpredictable weather and to push yourself to the limits, the Alpine Challenge is for you. Alpine Experience – a 60km introductory option over 2 days for runners / walkers or the 60km through run. Send us your favourite running picture and we’ll judge the winner – simple as that. The first 20 people who send us a picture will be eligible for the 10% race discount too. Send your entries to ultra168@hotmail.com and we’ll drop you a quick note back to confirm that your entry has been received.